Both top and bottom edges are wicked sharp! 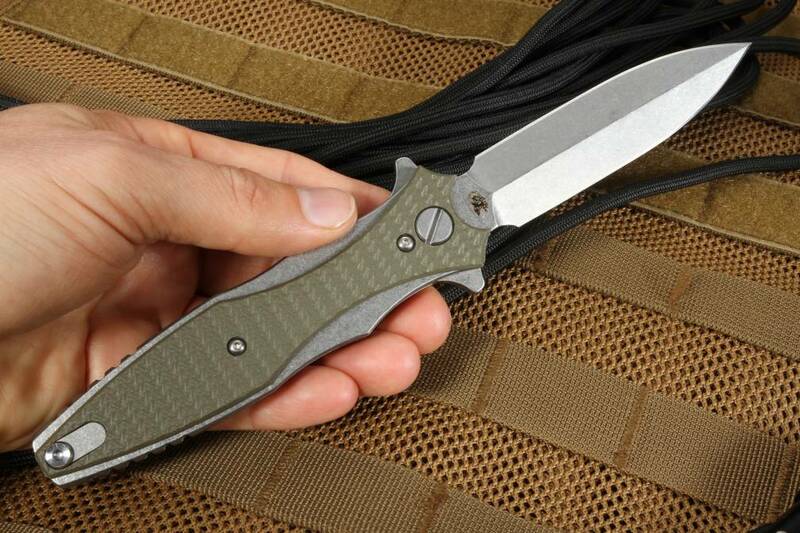 Welcome the Maximus double edge folding dagger to the Hinderer knives family! 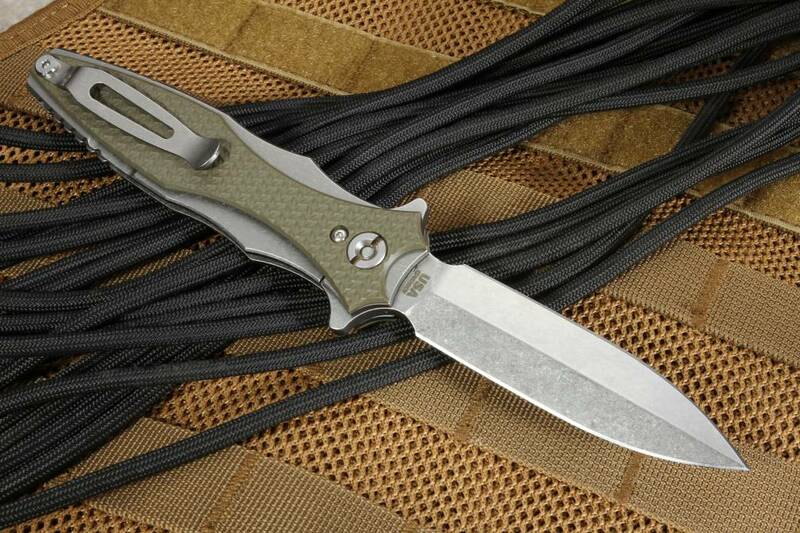 The dagger style blade of the Hinderer Maximus is razor sharp on both the top and bottom edges. Extreme caution must be used while operating this Hinderer knife. The CPM 20CV stainless steel dagger blade is perfectly symmetrical. Matching stonewash finish on the blade, handle scales and pocket clip. 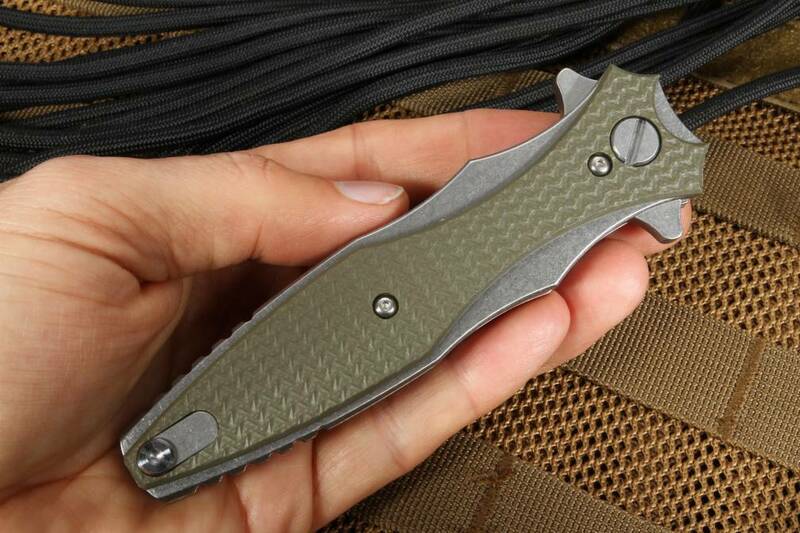 This Hinderer folder is to be closed using the dual flipper feature to prevent coming in contact with the top edge. Flipper also serves as a guard in the open position. 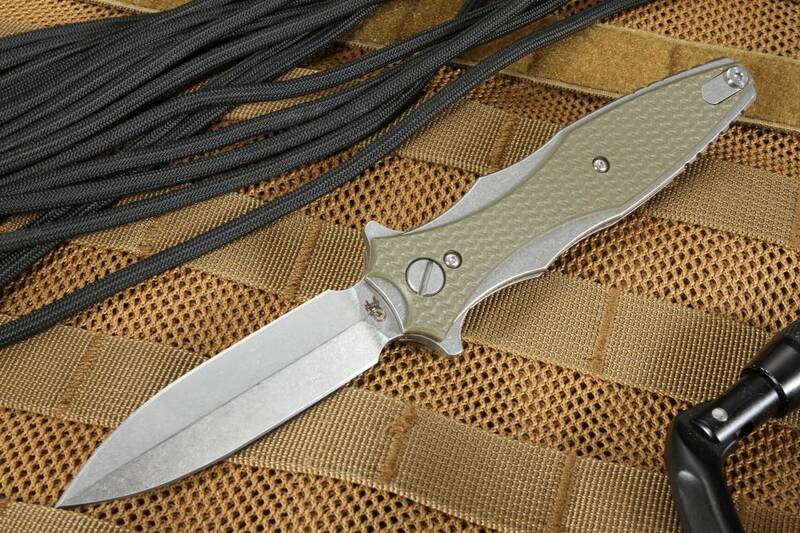 The Maximus handle is made from aerospace grade titanium and textured OD Green G-10. Heavy duty liner lock design for a secure lock up. 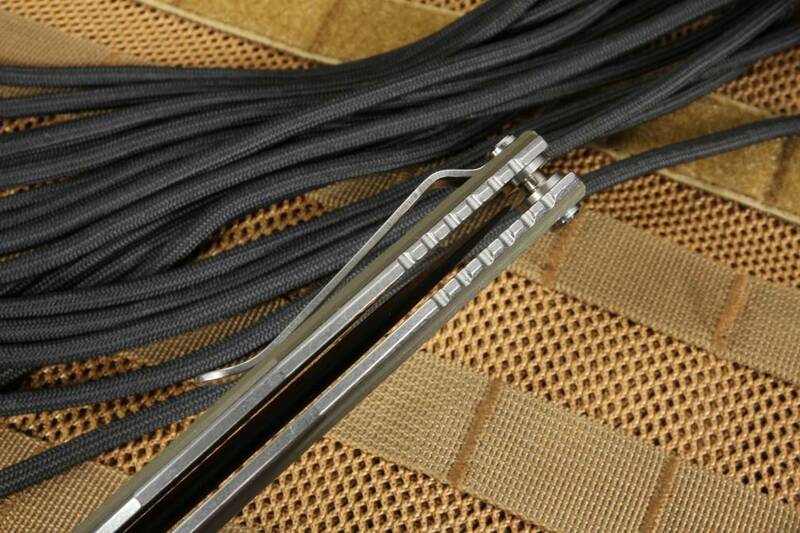 The G-10 handle scales on the lock side act as a lock bar stabilizer. 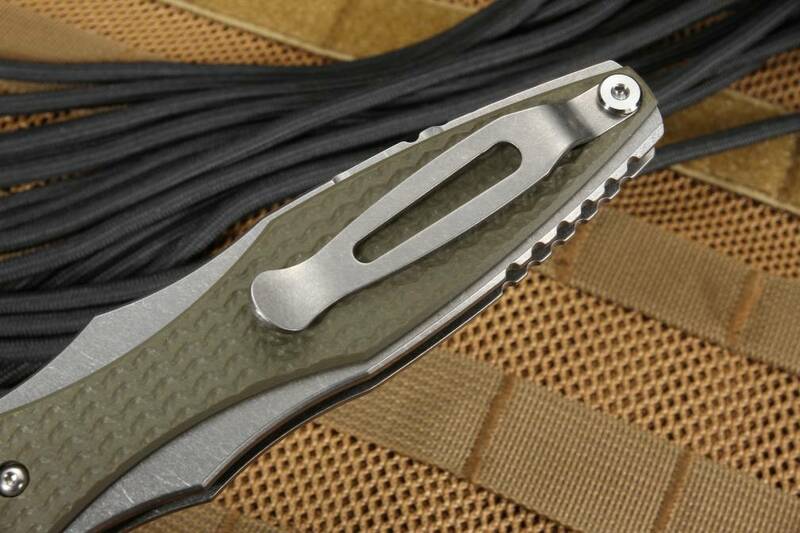 Stonewashed titanium pocket clip can be mounted for right or of left pocket carry.